10 May 1940. Winston Churchill was appointed Prime Minister. In France, the defensive campaign is just about to unveil. On 10 May 1940, Winston Churchill was appointed Prime Minister. More Hurricane Squadrons were sent over to France in support of the defensive campaign which was just about to unveil. In a month, things would have gone disastrously wrong beyond everyone’s imagination; soon, Churchill would be wearing an air-raid helmet for his publicity photos. On this day 70 years ago it became clear that, following the abysmal failure in Norway, the country had no confidence in Prime Minister Chamberlain’s prosecution of the war. Chamberlain resigned. The commonly accepted version of events states that Lord Halifax was approached as the next candidate for the Prime Minister post, but turned down the offer because he believed he could not govern effectively as a member of the House of Lords instead of the House of Commons. Although the Prime Minister does not traditionally advise the King on the former’s successor, Chamberlain wanted someone who would command the support of all three major parties in the House of Commons. A meeting between Chamberlain, Halifax, Churchill and David Margesson, the government Chief Whip, led to the recommendation of Churchill, and, as a constitutional monarch, George VI asked Churchill to be Prime Minister and to form an all-party government. Churchill had been among the first to recognise the growing threat of Hitler long before the outset of the Second World War. Sadly, his warnings had gone largely unheeded among the supporters of appeasement and pacifists who dominated Britain’s political scene during the 1930s. 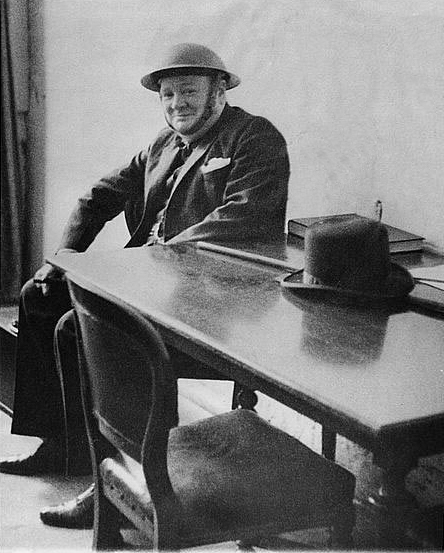 Although political sentiments for seeking negotiated peace with a clearly ascendant Germany undoubtedly still prevailed at the time of his election, Churchill was determined to refuse an armistice with Hitler. Churchill’s first act was to write to Chamberlain to thank him for his support. Then he took on with the upcoming battle.